Bluegrass Pundit: AFL-CIO President Richard Trumka: "I don’t know what the difference is between a Democratic Socialist and a Democrat." 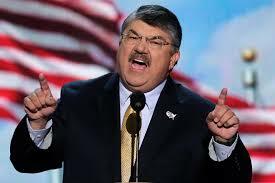 AFL-CIO President Richard Trumka: "I don’t know what the difference is between a Democratic Socialist and a Democrat." (CNS)- AFL-CIO President Richard Trumka told Hardball host Chris Matthews, "I don’t know what the difference is between a Democratic Socialist and a Democrat." During an appearance on the MSNBC program last week, Trumka was asked by Matthews about Democratic presidential candidate Bernie Sanders. "Nobody’s called him a Socialist - except Bernie Sanders calls himself one, you don’t think that’s important?" Matthews asked.